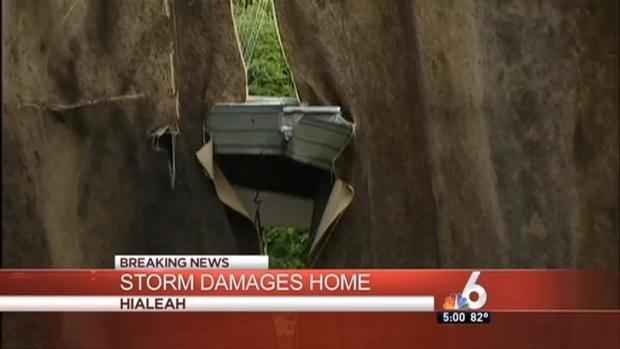 Early sunshine was replaced by afternoon storms Wednesday in South Florida. The National Weather Service issued a severe thunderstorm warning for Broward County that was cancelled at 3 p.m. The thunderstorms could produce damaging winds, destructive hail, deadly lightning and very heavy rain, according to the NWS. Torrential rainfall could also lead to flash flooding, said the NWS. A storm took out a home's patio cover and left it several yards away from where it was supposed to be. 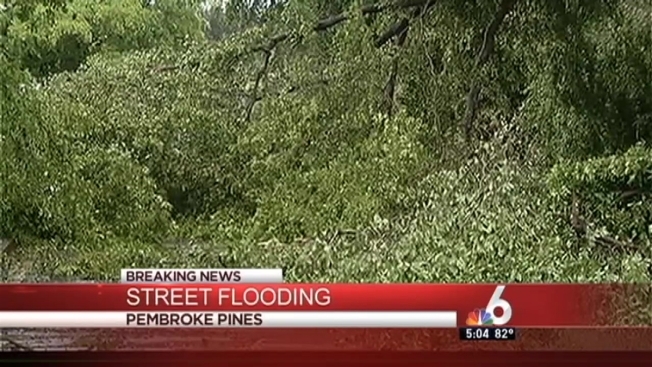 NBC 6's Gilma Avalos has more on today's storm damage. Highs were at about 91 degrees. Expect the stormy afternoon pattern to stick around through Friday and possibly into the weekend.